All of our games are tested to ensure that they run as best as possible on a variety of hardware systems, and should run on any Windows operating system from Windows 95 to Windows 10. Most users have no problems with the games, however, you may find that some of our older games need an extra step to run on the latest hardware and operating systems. The following notes have been compiled to help solve any potential incompatability issues. You may also find that some of these steps will allow you to play other games in your library. Check for issues and solutions in the list below. As a general note, ensure that both your Windows version and your graphic card drivers are kept up to date. If your problem is not solved, email us at midnight@midnightsynergy.com or visit the forums for help. 1. Open the Control Panel (press Windows-R and enter “Control Panel”), then select “Programs and Features”. 2. 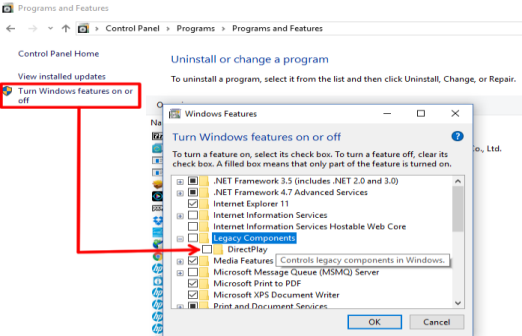 Click on “Turn Windows features on or off”. A new window will open. 4. Press OK and close the window. Now restart the game. If a game is unknown to Windows or and Antivirus program, it may attempt to block installation to keep your computer “safe”. 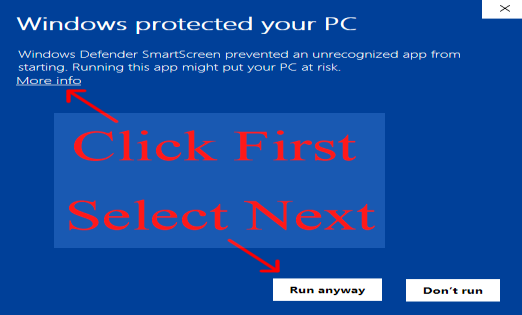 You can simply override Windows Defender (shown) or disable the Antivirus during installation. All of our downloads are checked and are 100% safe to install. This one can be trickier, but workable. Intensity XS and ReCharge don’t play well with some graphics cards, especially on Windows 10. 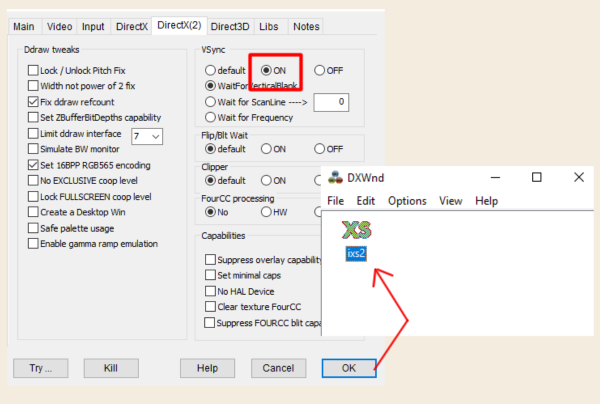 You can right-click on the ixs1.exe and ixs2.exe file to try different compatability settings first. If none of the options work, you next best bet is to run the game in a wrapper, such as DXWnd. Using DXWnd, you can run older games in forced windowed mode which usually helps compatability. In the case of Intensity, it works great! 1. Download and unzip DXWnd - here is the official site. Click here for a direct download of a stable release that has been tested with Intensity. 2. Run DXWnd.exe and open the Intensity XS (or ReCharge) directory. 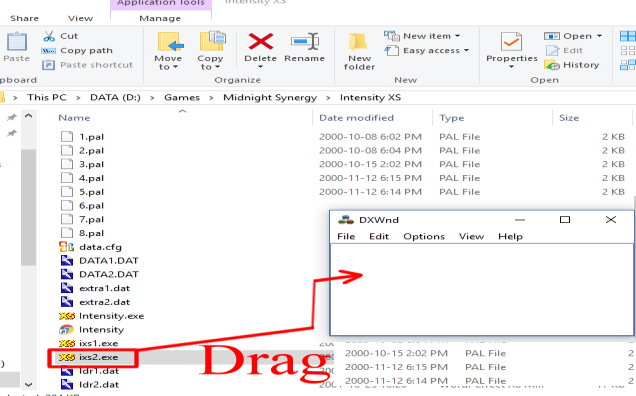 Then drag the ixs2.exe file (into the DXWnd window). 3. A new window will open. To use the default settings, just press OK. As a bonus, you can tweak how the game is run here as well. For example, if the game runs too fast, try turning on Vsync in the DirectX(2) tab. 4. After clicking OK, the game will appear in the DXWnd window. Just double-click to run it.